Star Global produced this website for Qwest Foods Limited. Qwest Foods Limited is a leading manufacturer and distributor of quality specialty products that are tailor made for Canada's fast-growing bar and restaurant industry. 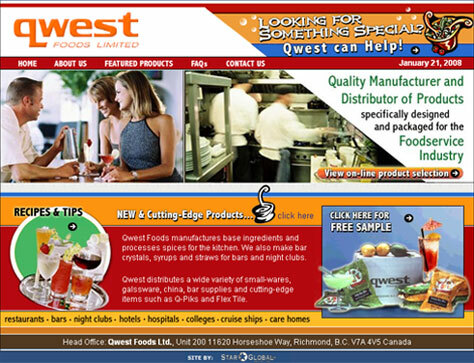 Qwest Foods manufactures a wide range of quality base ingredients for use in kitchens and bars, including spices, condiments, soup bases, beverage syrups and crystals, and straws. They also distribute an array of front end restaurant and bar essentials, including glassware, smallwares, china, flatware and bar supplies. 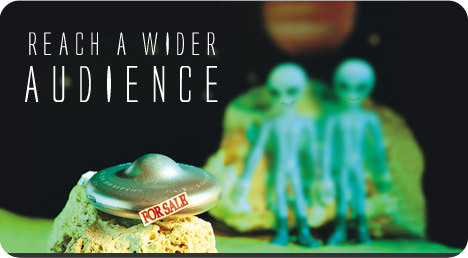 Features of this website include a detailed products page and a frequently-asked-question (FAQ) section.